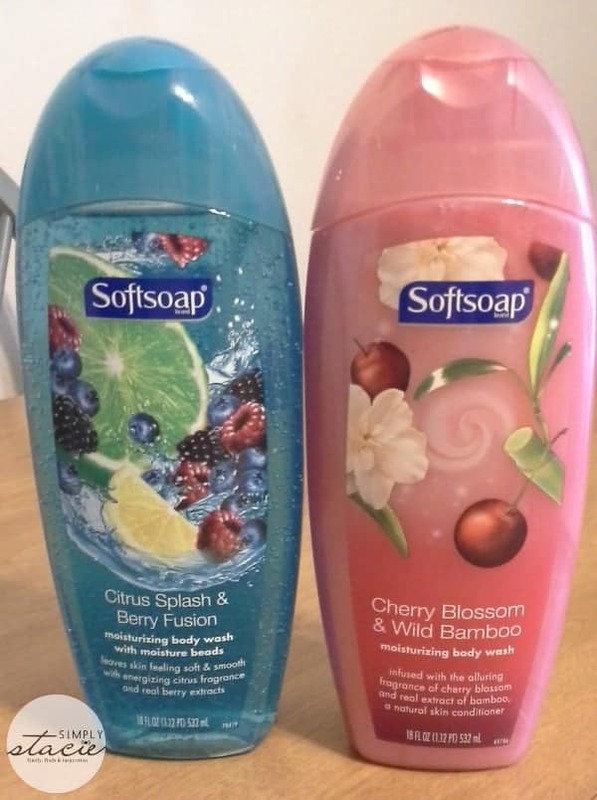 I love the fresh smells of springtime so I was very excited to try some of the most popular body washes that are available from the Softsoap® Brand. I recently had the chance to try five of these fabulous scents which I used as a body wash in the shower and in foaming baths for my children. Featuring a few of my personal favorites such as Citrus Splash & Berry Fusion, Sweet Honeysuckle & Orange Peel, Cherry Blossom & Wild Bamboo, Body Butter Coconut Scrub and the Body Butter Strawberry Smoother these are just a few of the amazing body washes that are currently available from Softsoap! The Softsoap® Citrus Splash & Berry Fusion is a wonderful body wash that has unique moisturizing beads that are suspended in the liquid wash to keep the skin feeling soft and smooth. I found this to be wonderful as a body wash and especially when used for shaving too as my legs did not get dry and scaly plus I had an extremely close shave. I was surprised to learn that this wonderful, energizing scent combines notes of citrus and it is derived from real raspberries and strawberries too. 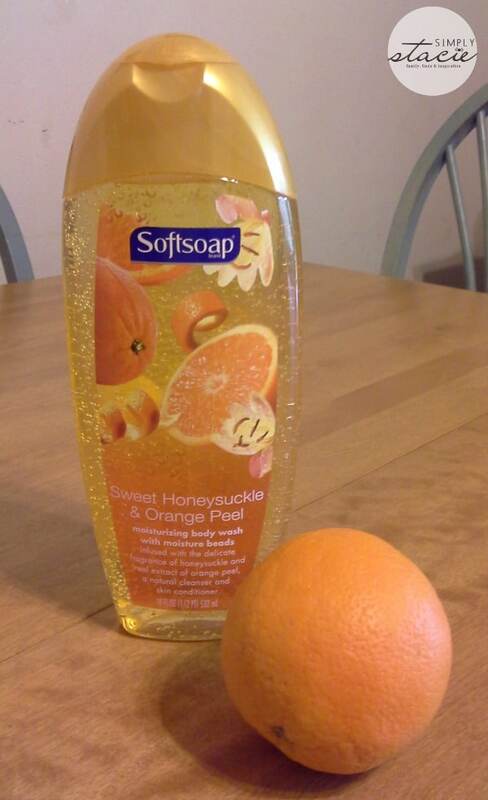 My personal favorite of all of the scents is the Sweet Honeysuckle & Orange Peel Body Wash which smells to this Florida native just like the blossoming orange trees in my backyard……delightful! What makes this smell so authentic is the natural extracts of honeysuckle and orange peel creating the perfect body wash experience on those days you need to wake up and feel invigorated. It also has moisture beads for a moisturized, clean feeling which always makes me feel great after using it. Another fabulous body wash to try from Softsoap® is the Cherry Blossom & Wild Bamboo which features an infusion of cherry blossom scent and real bamboo extract which is a naturally derived skin conditioner. I especially love using this in foam baths because the scent is intoxicating and the body wash makes the perfect amount of foam for a wonderful bath experience. For the first time, I tried Softsoap® Body Butter Smoothers and a scrub. The Softsoap® Body Butter Strawberry Smoother™ is gentle enough to use for daily smoothing on the entire body and it has just the perfect amount of exfoliation to keep my skin extremely soft and smooth. I used this product prior to a night out on the town with my husband and he complimented me on my “soft, glistening skin”. It has the wonderful aroma of juicy strawberries and moisturizes with jojoba. 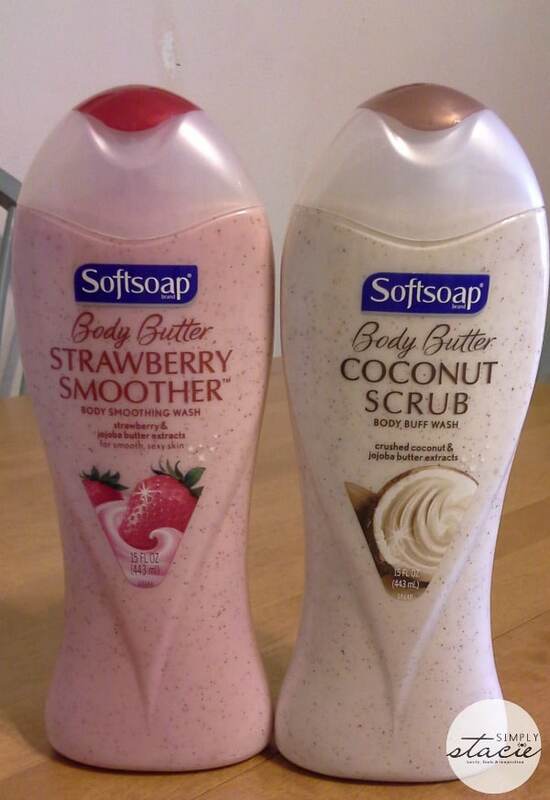 I also love the Softsoap® Body Butter Coconut Scrub which is a body buff wash that smells like a day at the beach. In fact, the scent is so wonderful that it is hard for me to describe adequately in words. It is just amazing with bits of crushed coconut extracts and jojoba butter for the ultimate luxurious body-scrubbing indulgence. All of the Softsoap® Brand products featured in this review are available at major retailers as well as drug and grocery stores across the nation. It is an affordable luxury at only $3.50 to $4.50 SRP per 18 ounce bottle. Which Softsoap body wash product would be your perfect spa-like experience this spring? You are invited to head over to the Softsoap® website now to check out all of the fabulous products in the line. I would like to try the Black Orchid and Velvet Hibiscus scent. All of the scents sound amazing, but I’d love to try the Acai scent also. I would love to try peony and plum. Thanks so much for the chance to win. I would love to try the Black Orchid and Velvet Hibiscus scent. I would love to try the Peony Plum hand soap. My Mom always had peonies in her yard. That is a wonderful childhood memory of mine. I would like to try the Coconut Island Quench. I would like to try the Strawberry Smoother Body Butter. I would like to try the: Juicy Pomegranate & Mango Infusions. i would love to try the heavenly vanilla scent. I would like to try Citrus Splash and Berry Fusion. Would like to try Velvet Hibiscus. I’d like to try the Basil & Lime Liquid Hand wash.
cherry blossom and wild bamboo sounds like a really good scent. I’d like to try the Acai Berry and Tropical Water Body Wash.
There’s a purple one they used to make that I would love to find again. I don’t remember what it was called but I would know it if I smelled it. The Strawberry Smoother Body Butter sounds AMAZING! Thank you for the giveaway! I would love to try the Black Orchid & Velvet Hibiscus Body Wash! Thanks for the giveaway… we like the Kitchen Fresh Hands soap !